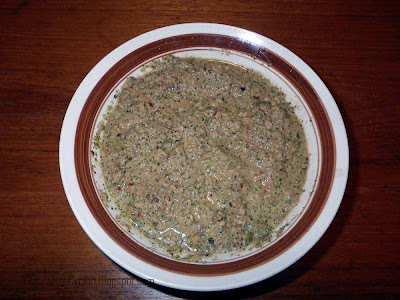 I made Mint Chutney for dinner last night. This recipe is from my belated mother, who was an excellent cook. Mint chutney is a popular south indian dish. My mother would make this at least once a month or so. 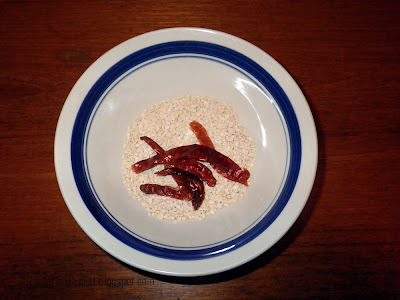 It is very easy to prepare and is a great accompaniment to rice and many varieties of breads. Add the Urad dal.Stir frequently. Stir frequently until the lentils are light brown. Remove from heat, put into a bowl. 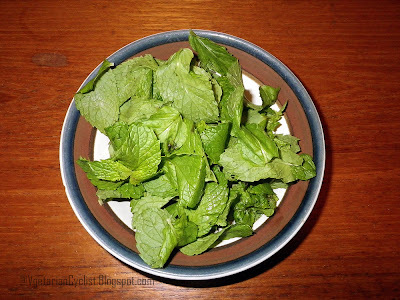 Remove the stems from the Mint leaves, wash them. Once the lentils cool down, blend the contents of the bowl and the mint leaves, tamarind paste in a blender. A coarse paste of the blend is ideal, does not have to be a fine paste.